You are here: Home / Make Use of your Halloween Candy! Below are a few simple yet engaging games for you and your child. Each game is intended for two players, and the rules of each game are very simple: any child who is comfortable with counting up to 100 can easily play, yet older students and adults also enjoy them! You can play these games just for fun, or try to come up with a winning strategy that guarantees victory regardless of the opponent’s moves (or help your child to do so). We begin with the simplest variations, and the rules will get harder from one game to the next. These rule changes may be almost insignificant for you, but for a child playing the game and looking for a strategy for the first time, the increased difficulty may be substantial. Instead of telling your child, “look how you could have moved there,” simply give him a chance to play again every time that he makes a mistake. Be calm and patient, and give him the opportunity to come to the right strategy every time. (Our notes may help you guide him there.) This will be very helpful for the development of your child’s logical abilities, ingenuity, and independent thinking. The player who goes second has a winning strategy. He needs to make his opponent’s moves “in reverse”: if the first player takes one match, the second should take two, and if the first player takes two candies, the second should take one. Then after every round (in which both players move once), there will be exactly 3 fewer candies in the pile than in the previous round, so after the sixth round, the second player will win. 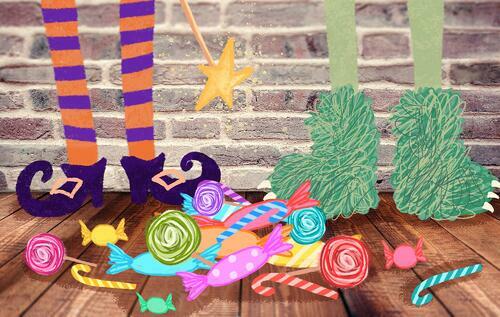 The game does not necessarily have to begin with exactly 18 candies; it can be any number divisible by 3. To make sure your child finds the right strategy, it may be worth starting with 6 candies and letting him go second. Then you can begin by taking two candies. If your child takes two candies as well, you have won: let him try again. Once you’ve finished, start over with 6 candies again and take one candy. If your child also takes one candy, then you also take one again: then there will be 3 candies left, and you win next round. After every setback, let your child take the move back and try again: try to engage him in the game not as a mechanical process, but as an interesting search for the correct strategy. The player who goes first has a winning strategy. On the first move, he needs to take two candies, after which the game reduces to the previously analyzed situation: the player who takes two candies on the first move becomes the player who moves second in the 18-candy game. Since the first player has a winning strategy, let your child go first. If he makes a mistake by taking only one candy, take one as well; then you will be in a winning position. After you win, your child will have to think about how he should play instead. If your child can’t find the winning strategy, you can reduce the starting number of candies and analyze the games beginning with 4 candies and 5 candies. Once the strategies of games 1 and 2 became crystal clear, you can proceed to the following, more complicated games.. If the second player makes any mistake, the first player will immediately be in a winning position. The player who goes first has a winning strategy. He needs to take one candy on the first move, after which the game will reduce to the previous one, and in that game he will play second, meaning that he will be in a winning position. If the first player makes any mistake, the second player will immediately be in a winning position. 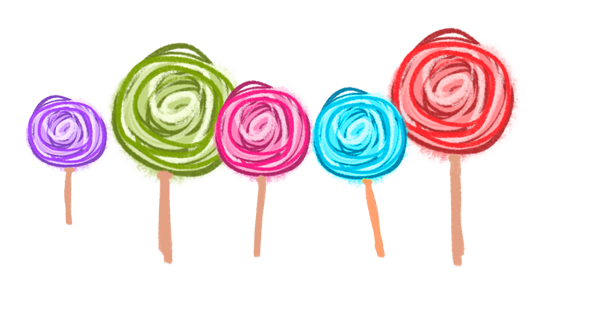 If the initial number of candies is divisible by 6, the second player has a winning strategy. He must make sure that the number of candies decreases by 6 after each round. 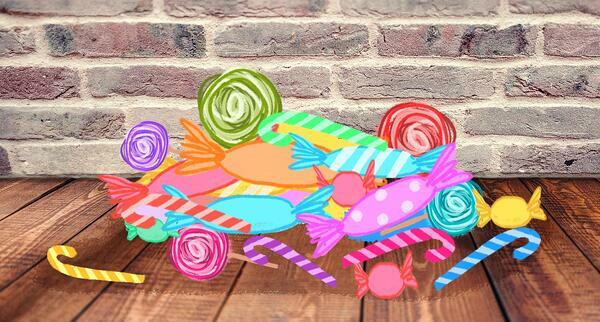 If the initial number of candies is not divisible by 6, the first player has a winning strategy. On the first turn, he must take the number of candies that ensures that the remaining number of candies is divisible by 6. After this, the game will reduce to the previous case, and the first player will be in a winning position. You can make this game more interesting by letting your child decide for himself if he wants to go first or second. 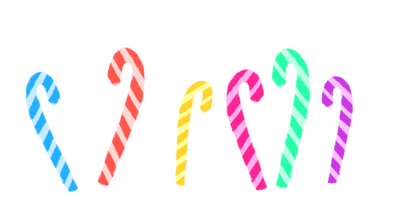 You can also change up the initial number of candies, sometimes starting with a number divisible by 6 and sometimes starting with a number not divisible by 6. The first player has a winning strategy. On the first move, he should take two candies. After that, he should make his opponent’s moves “in reverse,” ensuring that the number of candies decreases by 7 after every move. Playing like this will ensure that there will be one candy left after the first player’s fifth move. Since the first player has a winning strategy, let your child play first. If he makes a mistake by taking five candies on the first move, take five as well: after that, there will be 28 candies left in the pile, and you will be in a winning position. Playing his moves “in reverse,” you will win in 4 moves, and your child will have to think about how he should win again. If all the above has become clear and uninteresting, you can also look at the following “expert” variation. Keep in mind that any child can play games 1-6, but game 7 assumes that your child knows and understands what a prime number is and division with a remainder is (in the general case), etc. Game 7: 100 candies, “expert” variation! The first player has a winning strategy. He should take 4 candies on the first move and then take one, two, three, four, or five candies on every subsequent move, ensuring that the remaining number of candies is divisible by 6. This will always be possible, as the second player will be unable to take a number of candies divisible by 6 (no prime power can be divisible by 6!). As a result, the first player will eventually take the last candy from the pile.